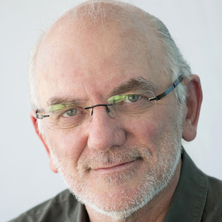 Graeme is a Professor in Crop Science at the Centre for Crop Science in the Queensland Alliance for Agriculture and Food Innovation (QAAFI), which is a research institute of The University of Queensland, Australia. Graeme conducts research on the physiology and genetics of complex adaptive traits in field crops with a focus on water productivity in cereals. His research underpins the development of mathematical models of crop growth, development and yield that enable simulation of consequences of genetic and management manipulation of crops in specific target environments. · Identify avenues to cope with climate risks in field crop production. He is a Fellow of the Australian Agriculture Institute and was awarded the Australian Medal for Agricultural Science in 2013 and Farrer Memorial Medal in 2012. Prof. Hammer's research capabilities are focused on the major cereal crops: sorghum, maize and wheat. His expertise in crop ecophysiology and modelling enable Graeme to investigate traits and management systems that have the potential to deliver productivity gains in water-limited production environments. He collaborates closely with plant breeders, geneticists, molecular biologists and agronomists in a range of national and international research projects in both public and private sectors. He leads the UQ node of the ARC Centre of Excellence in Translational Photosynthesis (www.photosynthesis.org.au) and the UQ link to the APSIM Initiative, which is responsible for the on-going development of the APSIM modelling software platform (www.apsim.info), which is now used world-wide. His research has focussed on traits and management systems that influence resource capture and resource use efficiency, including tillering and canopy development, root system architecture, maturity, carbon and nitrogen partitioning, light use and transpiration efficiencies. The detailed understanding that transpires from such work can generate approaches to phenotyping that provide avenues for linking with advanced approaches to molecular breeding and crop improvement. Hill, H.S.J., Butler, D., Fuller, S.W., Hammer, G. L., Holzworth, D., Love, A. H. A., Meinke, H., Mjelde, J.W., Park, J. and Rosenthal, W. (2001). Effects of seasonal climate variability and the use of climate forecasts on wheat supply in the United States, Australia and Canada. In C. Rosenzweig, K. Boote, S. Hollinger and A. Iglesias and J. Phillips (Ed. ), Impacts of El Nino and Climate Viariability on Agriculture (pp. 101-123) Madison, Wisconsin, USA: American Society of Agronomy. Molecular breeding for complex adaptive traits - can crop ecophysiology and modelling ease the pain? Hammer, Graeme (2014) Molecular breeding for complex adaptive traits - can crop ecophysiology and modelling ease the pain?. International Sugar Journal, 116 1381: 64-68. Does increased leaf appearance rate enhance adaptation to postanthesis drought stress in sorghum? Can changes in canopy and/or root system architecture explain historical maize yield trends in the US corn belt? Hammer, G. L. (2006) Pathways to prosperity: breaking the yield barrier in sorghum. Agricultural Science, 19 2: 16-22. Rainfall variability at decadal and longer time scales: signal or noise? Stay-green: A consequence of the balance between supply and demand for nitrogen during grain filling? Birch, CJ, Hammer, GL and Rickert, KG (1999) Dry matter accumulation and distribution in five cultivars of maize (Zea mays): Relationships and procedures for use in crop modelling. Australian Journal of Agricultural Research, 50 4: 513-527. Birch, CJ, Hammer, GL and Rickert, KG (1998) Improved methods for predicting individual leaf area and leaf senescence in maize (Zea mays). Australian Journal of Agricultural Research, 49 2: 249-262. HAMMER, GL (1989) CORRECTION. Crop Science, 29 5: 1336-1336. Hammer, G.L. (1980) Estimation of cassava leaf area by a simple, non-destructive field technique. Journal of the Australian Institute of Agricultural Science, 46 1: 61-62. Hammer, G. L. and Rosenthal, K. M. (1978) Frost and minimum temperature probabilities (in Queensland, Australia). Queensland Agricultural Journal, 104 2: 177-201.
van Oosterom, E., Chenu, K., McLean, G., Deifel, K. , Sulman, R. and Hammer, G. (2016). Phenotyping transpiration efficiency: linking trait dissection to genetics. In: 5th International Controlled Environment Conference Abstracts. 5th International Controlled Environment Conference (AusPheno 2016), Canberra, Australia, (4-4). 18-22 September 2016. Borrell, A. K., Christopher, J. T., Veyradier, M., Harvey, G., Fletcher, S., Christopher, M., Jennings, R., Hammer, G. L. and Chenu, K. (2013). Fine-mapping candidates for 'stay-green' in sorghum reveals genes associated with canopy development and root growth. In: ID4: InterDrought-IV Conference 2013. The 4th International Conference on Integrated Approaches to Improve Crop Production under Drought-Prone Environments, Burswood, WA, Australia, (). 2-6 September, 2013. Christopher, J. T., Borrell, A. K., Chenu, K., Jennings, R., Harvey, G., Manschadi, A. M. and Hammer, G. L. (2011). Characterising root systems throughout the life cycle to identify adaptive root traits for water-limitation. In: Wheat Breeding Assembly, Perth, Australia, (). 24-26 August 2011. Chenu, K., Deihimfard, R., McIntyre, K. and Hammer, G. L. (2011). Drought environment types for rain-fed barley in Australia – Interpreting genotype-environment interaction by modelling water-deficit patterns. In: The 15th Australian Barley Technical Symposium, Adelaide, Australia, (). 18-21 September 2011. Chenu, K., Christopher, J. T., McLean, G., Payero, J. O. and Hammer, G. L. (2011). New lysimeter platforms to phenotype daily transpiration over the crop cycle in contrasting wheat lines. In: Wheat Breeding Assembly, Perth, Australia, (). 24-26 August 2011. Yang, Zongjian, Hammer, Graeme, van Oosterom, Erik, Rochas, Delphine and Deifel, Kurt (2010). Effects of pot size on growth of maize and sorghum plants. In: B. George-Jaeggli and D.J. Jordan, Proceedings of the 1st Australian Summer Grains Conference. 1st Australian Summer Grains Conference 2010, Gold Coast, Australia, (). 21-24 June 2010. Chenu, Karine, McIntyre, Kym and Hammer, Graeme (2010). Environment characterisation as an aid to improve barley adaptation in water-limited environments. In: Proceedings of the 14th Australian Barley Techinical Symposium. 14th Australian Barley Technical Symposium, Twin Waters Resort, Sunshine Coast, QLD, (). 13-16 September 2009.
van Oosterom, Erik, Borrell, Andrew, Deifel, Kurt and Hammer, Graeme (2010). Plant design features that improve grain yield of sorghum under post-anthesis drought stress. In: Proceedings of the 1st Australian Summer Grains Conference. Australian Summer Grains Conference 2010, Gold Coast, Qld., Australia, (). 21-24 June 2010. McLean, Greg, Hammer, Graeme, Van Oosterom, Erik and Doherty, Alistair (2008). Development of the Generic APSIM Cereal Template to Enhance Functionality of Whole-Plant Modelling. In: M. Unkovich, Global Issues, Paddock Action: Proceedings of the 14th Australian Society of Agronomy Conference. 14th Australian Society of Agronomy Conference, Adelaide South Australia, (). 21-25 September 2008. Van Oosterom, Erik J., Hammer, Graeme L., Kim, Hae-Koo, Mclean, Greg and Deifel, Kurt (2008). Plant design features that improve grain yield of cereals under drought. In: Murray Unkovich, Global Issues, Paddock Action: Proceedings of the 14th Australian Society of Agronomy Conference. 14th Australian Society of Agronomy Conference, Adelaide, South Australia, (). 21-25 September 2008. Potgieter, Andries, Doherty, Alistair, Crimp, Steven, Rodriguez, Daniel, Hammer, Graeme L., Meinke, Holger and Fearweather, H. (2008). Shire scale impacts and adaptation options for Australian cereal crops affected by climate change. In: Murray Unkovich, Global Issues, Paddock Action: Proceedings of the 14th Agronomy Conference 2008. 2008 14th ASA: The 14th Australian Society of Agronomy Conference, Adelaide, SA, Australia, (). 21-25 September, 2008. Christopher, J. T., Manschadi, A., Hammer, G. L. and Borrell, A. K. (2008). Stay-green wheat for Australia's changing, dry environment. In: Proceedings of the 11th International Wheat Genetics Symposium. 11th International Wheat Genetics Symposium, Brisbane, Queensland, (). 24-29 Aug 2008. Birch, Colin, Stephen, Kirsten, McLean, Greg and Hammer, Graeme (2008). Using modelling and agronomy to improve reliability of corn as a rainfed crop in northern New South Wales and south western Queensland. In: Proceedings of the 14th Australian Society of Agron Conference. 14th Australian Society of Agron Conference, Adelaide, South Australia, (). 21-25 September, 2008. Singh, Vijaya, Hammer, Graeme and Van Oosterom, Erik (2008). Variability in structure and function of sorghum root systems. In: Murray Unkovich, Global Issues, Paddock Action: Proceedings of the 14th Australian Society of Agronomy Conference. 14th Australian Society of Agronomy Conference, Adelaide, South Australia, (). 21-25 September 2008. Holzworth, Dean, Meinke, Holger, DeVoil, Peter, Wegener, Malcolm, Huth, Neil, Hammer, Graeme, Howden, Mark, Robertson, Michael, Carberry, Peter, Freebairn, David and Murphy, Chris (2006). The development of a farming systems model (APSIM) - A disciplined approach. In: Proceedings of the iEMSs 3rd Biennial Meeting,Summit on Environmental Modelling and Software. 3rd Biennial Meeting of the International Environmental Modelling and Software Society: Summit on Environmental Modelling and Software, iEMSs 2006, , , (). July 9, 2006-July 13, 2006. Birch, C. J., Stephen, K. L., Hammer, G. L. and Robertson, M. J. (2006). Assessment of reliability of quick to medium maize in areas of variable rainfall in Queensland and Northern NSW. In: E. Humpreys, Water to Gold-Proceedings 6th triennial Conference, Maize Aus., Griffith, NSW, Austrlia, (). 21-23 February, 2006. Hammer, G. L. (2006). Pathways to prosperity: Breaking the yield barrier in Sorghum. In: A.K. Borrell and D.R. Jordan, 5th Australian Sorghum Conference. 5th Australian Sorghum Conference, Gold Coast, Qld, Australia, (1-19). 30 January - 2 February 2006. Kim, H. K., Van Oosterom, E. J., Luquet, D., Dingkuhn, M. and Hammer, G. L. (2006). Physiology and genetics of tillering in sorghum. In: A. K. Borrell, R. G. Henzell and D. R. Jordan, 5th Australian Sorghum Conference. 5th Australian Sorghum Conference, Gold Coast, (1-10). 30 January - 2 February 2006. What determines expression of stay-green under post-anthesis drought stress? Van Oosterom, E J, Hammer, G L, Borrell, A. and Broad, J. (2006). What determines expression of stay-green under post-anthesis drought stress?. In: Borrell, A. K., Henzell, R. G. and Jordan, D. R., Proceedings from the 5th Australian Sorghum Conference. 5th Australian Sorghum Conference, Gold Coast, (1-10). 30 January - 2 February 2006. Potgieter, A., Apan, A., Hammer, G. L. and Dunn, P. (2005). Spying on the winter wheat crop - generating objective planted area and crop production estimates using modis imagery. In: Proceedings of SSC 2005 Spatial Intelligence, Innovation and Praxis: The national Biennial Conference of the Spatial Sciences Institute. National Biennial Conference of the Spatial Sciences Institute, Melbourne, Vic, (1-5). September 2005. Can transition to flowering be modelled dynamically from the gene level? Van Oosterom, Erik, Hammer, Graeme and Chapman, Scott (2004). Can transition to flowering be modelled dynamically from the gene level?. In: T. Fischer, N. Turner, J. Angus, L. McIntyre, M. Robertson, A. Borrell and D. Lloyd, New Directions for a Diverse Planet: Proceedings of the 4th International Crop Science Congress. 4th International Crop Science Congress, Brisbane, Australia, (1-6). 26 September-1 October 2004. Christopher, John T., Borrell, Andrew K., Manschadi, A. M., Hammer, Graeme and Chapman, Scott (2004). Developing high yielding wheat for water limited environments in northern Australia. In: T. Fischer, N. Turner, J. Angus, L. McIntyre, M. Robertson, A. Borrell and D. Lloyd, New Directions for a Diverse Planet: Proceedings of the 4th International Crop Science Congress. 4th International Crop Science Congress, Brisbane, Australia, (1-6). 26 September-1 October 2004. Cox, Howard, Hammer, Graeme, McLean, Greg and King, Christine (2004). National whoppercropper - risk management discussion support software. In: T. Fischer, N. Turner, J. Angus, L. McIntyre, M. Robertson, A. Borrell and D. Lloyd, New Directions for a Diverse Planet: Proceedings of the 4th International Crop Science Congress. 4th International Crop Science Congress, Brisbane, Australia, (1-5). 26 September-1 October 2004.
deVoil, Peter, Rossing, W. A. H. and Hammer, Graeme (2004). Optimising profitability and environmental trade-offs in managing cropping systems using differential evolution. In: T. Fischer, N. Turner, J. Angus, L. McIntyre, M. Robertson, A. Borrell and D. Lloyd, New Directions for a Diverse Planet: Proceedings of the 4th International Crop Science Congress. 4th International Crop Science Congress, Brisbane, Australia, (1-6). 26 September-1 October 2004. Broad, Ian and Hammer, Graeme (2004). Soil exploration by sorghum root systems in wide row cropping systems. In: T. Fischer, N. Turner, J. Angus, L. McIntyre, M. Robertson, A. Borrell and D. Lloyd, New Directions for a Diverse Planet: Proceedings of the 4th International Crop Science Congress. 4th International Crop Science Congress, Brisbane, Australia, (1-5). 26 September-1 October 2004. Roche, R., Bange, M., Milroy, S. and Hammer, G. L. (2003). Crop growth and maturity in ultra narrow row and conventionally spaced cotton. In: Australian Society of Agronomy, Proceedings of the 11th Australian Agronomy Conference. 11th Australian Agronomy Conference, Geelong, (1-5). 2-6 February, 2003.
deVoil, P., Rossing, W.A.H. and Hammer, G. L. (2003). Exploring profit - sustainability trade-offs in cropping systems using evolutionary algorithms. In: D.A. Post, Integrative Modelling of Biophysical, Social and Economic Systems for Resource Mangement Solutions. MODSIM 2003, Jupiters Hotel and Casino, Townsville, (1562-1567). 14-17 July 2003. Robertson, M., Cawthray, S., Birch, C. J., Bidstrup, R. and Hammer, G. L. (2003). Improving the confidence of dryland maize growers in the northern region by developing low-risk production strategies. In: Unkovich, M., O'Leary and G., Solutions for a better environment, Proc, 11th Australian Agronomy Conference. Solutions for A Better Environment, Geelong, Australia, (1-4). 2-6 February, 2003. Robertson, M. J., Cawthray, S., Birch, C. J., Bidstrup, R., Crawford, M., Dalgleish, N.P. and Hammer, G. L. (2003). Managing the risks of growing dryland maize in the northern region. In: C. J. Birch and S. R. Wilson, Versatile Maize - Golden Opportunities. Versatile Maize, Golden Opportunities - 5th Aust. Maize Conf., Toowoomba, Australia, (112-119). 18-20 February, 2003. Routley, R., Broad, I.J., McLean, G.B., Whish, J. and Hammer, G. L. (2003). The effect of row configuration on yield reliability in grain sorghum: I. Yield, water use efficiency and soil water extraction. In: Australian Society of Agronomy, Proceedings of the 11th Australian Agronomy Conference. 11th Australian Agronomy Conference, Geelong, (1-6). 2-6 February, 2003. McLean, G.B., Whish, J., Routley, R., Broad, I.J. and Hammer, G. L. (2003). The effect of row configuration on yield reliability in grain sorghum: II. Modelling the effects of row configuration. In: Australian Society of Agronomy, Proceedings of the 11th Australian Agronomy Conference. 11th Australian Agronomy Conference, Geelong, (1-5). 2-6 February, 2003. Hammer, G. L., Potgieter, A. and Strahan, R. (2003). The reliability of supply of feed grains in the northern region. In: C.J. Birch and S.R. Wilson, Fifth Australian Maize Conference Proceedings. Versatile Maize - Golden Opportunities, City Golf Club, Toowoomba, (120-126). 18-20 February, 2003. Nicholls, N, Kestin, T and Hammer, G (2001). Improving the interactions between users and producers of climate forecasts. In: Symposium On Climate Variability, the Oceans and Societal Impacts. Symposium on Climate Variability, the Oceans and Societal Impacts, Albuquerque Nm, (118-121). Jan 14-18, 2001. Hammer, G. L., Van Oosterom, E. J., Chapman, S.C. and McLean, G. (2001). The economic theory of water and nitrogen dynamics and management in field crops. In: Borrell and Henzell, Fourth Australian Sorghum Conference. Fourth Australian Sorghum Conference, Kooralbyn, Queensland, (). 5-8 February, 2001. Hammer, G. L. (2001). The sorghum industry system and the restaurant at the end of the universe. In: Borrell and Henzell, Fourth Australian Sorghum Conference. Fourth Australian Sorghum Conference, Kooralbyn, Queensland, (). 5-8 February, 2001. Meinke, H., Pollock, K., Hammer, G. L., Wang, E., Stone, R.C., Potgieter, A. and Howden, M. E. (2001). Understanding climate variability to improve agricultural decision making. In: Australian Agronomy Conference. Australian Agronomy Conference, Hobart, Tasmania, (). January, 2001. Hammer, G. (2000). A general systems approach to applying seasonal climate forecasts. In: Hammer, GL, Nicholls, N and Mitchell, C, Applications of Seasonal Climate Forecasting in Agricultural and Natural Ecosystems. Symposium on Applications of Seasonal Climate Forecasting in Agricultural and Natural Ecosystems, Brisbane Australia, (51-65). November 1997. Hammer, G (2000). Applying seasonal climate forecasts in agricultural and natural ecosystems - A synthesis. In: Hammer, GL, Nicholls, N and Mitchell, C, Applications of Seasonal Climate Forecasting in Agricultural and Natural Ecosystems. Symposium on Applications of Seasonal Climate Forecasting in Agricultural and Natural Ecosystems, Brisbane Australia, (453-462). Nov, 1997. Hammer, G, Carberry, P and Stone, R (2000). Comparing the value of seasonal climate forecasting systems in managing cropping systems. In: Hammer, GL, Nicholls, N and Mitchell, C, Symposium on Applications of Seasonal Climate Forecasting in Agricultural and Natural Ecosystems, Brisbane Australia, (183-195). Nov, 1997. Carberry, P., Hammer, G., Meinke, H. and Bange, M. (2000). The potential value of seasonal climate forecasting in managing cropping systems. In: Hammer, GL, Nicholls, N and Mitchell, C, Applications of Seasonal Climate Forecasting in Agricultural and Natural Ecosystems. Symposium on Applications of Seasonal Climate Forecasting in Agricultural and Natural Ecosystems, Brisbane Australia, (167-181). November 1997. Stephens, D, Butler, D and Hammer, G (2000). Using seasonal climate forecasts in forecasting the Australian wheat crop. In: Hammer, GL, Nicholls, N and Mitchell, C, Applications of Seasonal Climate Forecasting in Agricultural and Natural Ecosystems. Symposium on Applications of Seasonal Climate Forecasting in Agricultural and Natural Ecosystems, Brisbane Australia, (351-366). Nov, 1997. Mortlock, M. Y. and Hammer, G. L. (1999). Grain sorghum genotypes vary in transpiration efficiency and show enhanced efficiencies in water limited conditions in the glasshouse and field. In: Combined Conference of the ASBMB/ANZSCDB/ASPP. Combio 99, Conrad Jupiter, Gold Coast, Qld, (POS-TUE-02). 27-30 September 1999. Healey, K., Rickert, K., Hammer, G. and Mann, M. (1996). Components of solar radiation and radiation use efficiency of two tropical grass species. In: 5th Australian Tropical Pastures Conference, Atheron, Australia, (165-165). June 1995. McCown, R. L., Cox, P. G., Keating, B. A., Hammer, G. L., Carberry, P. S., Probert, M. E. and Freebairn, D. M. (1994). The development of strategies for improved agricultural systems and land-use management. In: Goldsworthy, P and DeVries, FP, Opportunities, Use, and Transfer of Systems Research Methods in Agriculture to Developing Countries. International Workshop on Systems Research Methods in Agriculture in Developing Countries, The Hague, Netherlands, (81-96). 22-24 November 1994. Hammer, GL, Irmansyah, Meinke, H, Wright, GC and Bell, MJ (1992). Development of a Peanut Growth-Model to Assist in Integrating Knowledge From Management and Adaptation Studies. In: Wright, GC and Middleton, KJ, Peanut Improvement : a Case Study in Indonesia. Aciar / Aard / Qdpi Collaborative Review Meeting On Peanut Improvement : a Case Study in Indonesia, Malang Indonesia, (95-103). Aug 19-23, 1991. Muchow, R. C., Hammer, G. L. and Carberry, P. S. (1991). Optimizing crop and cultivar selection in response to climatic risk. In: MUCHOW, RC and BELLAMY, JA, Climatic Risk in Crop Production : Models and Management for the Semiarid Tropics and Subtropics. International Symposium on Climatic Risk in Crop Production: Models and Management for the Semiarid Tropics and Subtropics, Brisbane Australia, (235-262). 2-6 July 1990. Hammer, G. L. and Muchow, R. C. (1991). Quantifying climatic risk to sorghum in Australia's semiarid tropics and subtropics: model development and simulation. In: MUCHOW, RC and BELLAMY, JA, Climatic Risk in Crop Production : Models and Management for the Semiarid Tropics and Subtropics. International Symposium on Climatic Risk in Crop Production: Models and Management for the Semiarid Tropics and Subtropics, Brisbane Australia, (205-232). 2-6 July 1990. (2009–2010) Pioneer Hi-Bred International Inc.